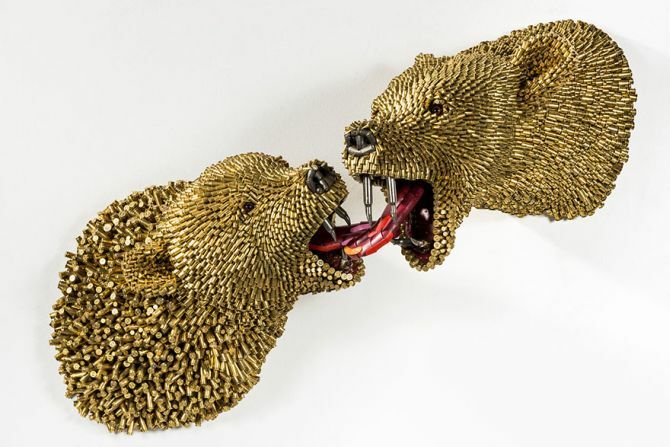 Certain artists play with paint and clay, however there are some exceptional artisans who create eccentrically thought-provoking art out of unconventional materials. 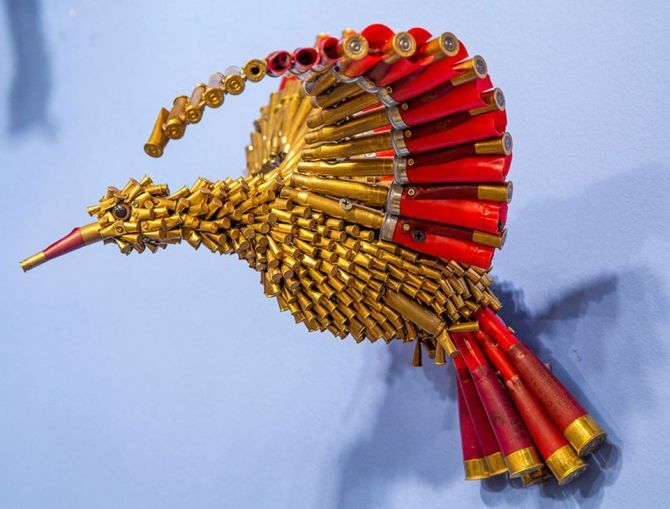 Falling in the second category, Columbian artist Federico Uribe has created phenomenal art series titled ‘We’re at peace’ that’s made from thousands of used bullet shells. 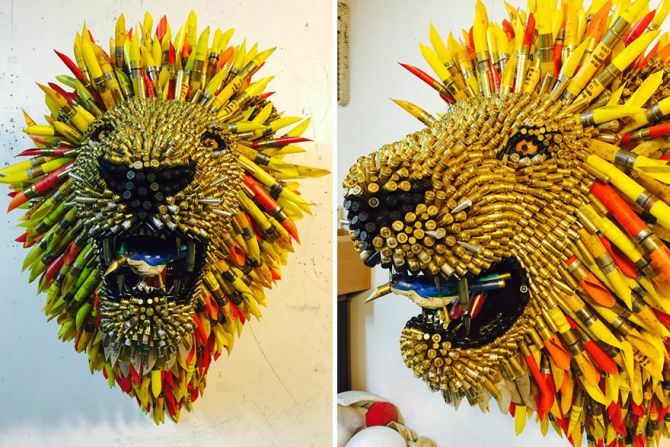 These stunning animal-themed sculptures are ironically designed out of the very same material, which is used by hunters to kill them for display. 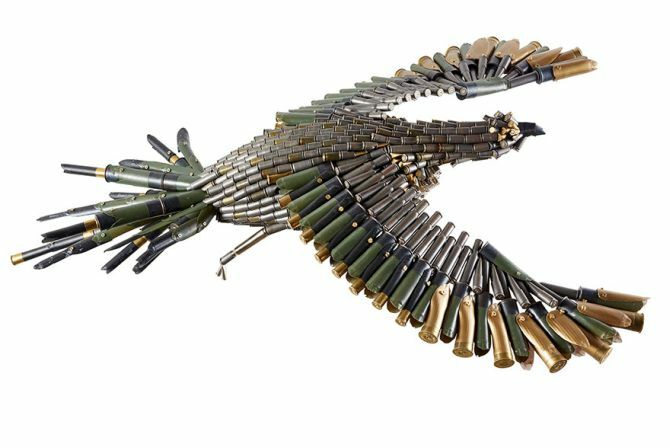 The resulting art pieces are somehow giving a silent message to use destructive bullets for defense and not for killing innocent animals. 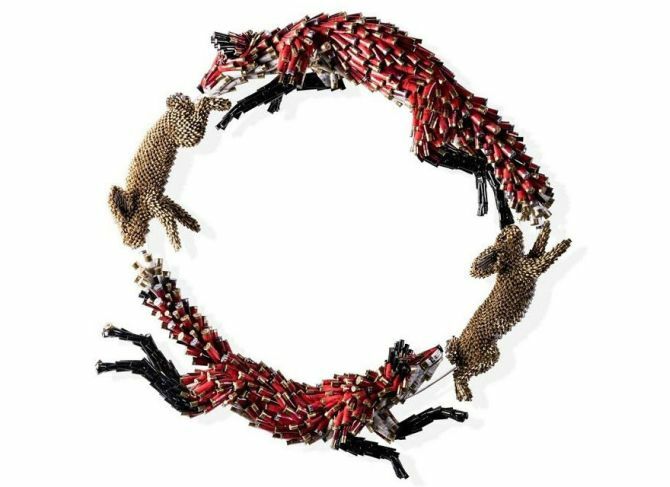 So every living creature on earth can say freely- We’re at Peace. 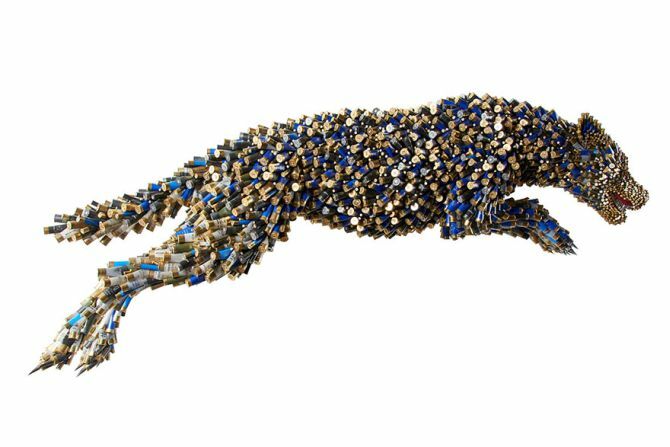 Without killing any single animal, the artist has crafted this gorgeous collection that depicts an intriguing juxtaposition between material and subject. 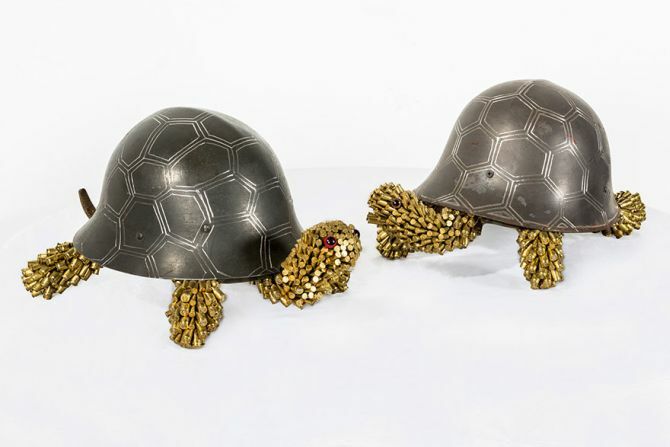 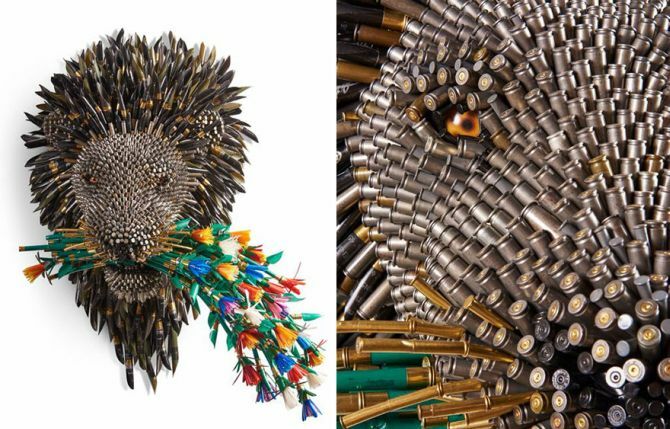 This incredible art series has forced us to think how lethal firearm bullets can be turned into several wild animals such as bears, lions, birds, tortoise, and many more. 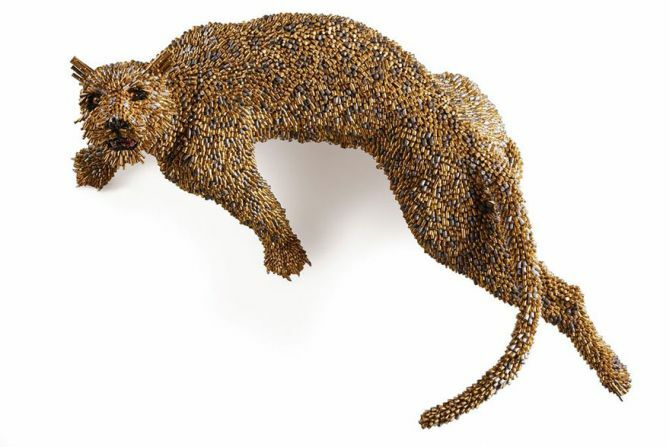 Each piece of art features fine detailing to ensure the sculptures closely resemble the real animals. 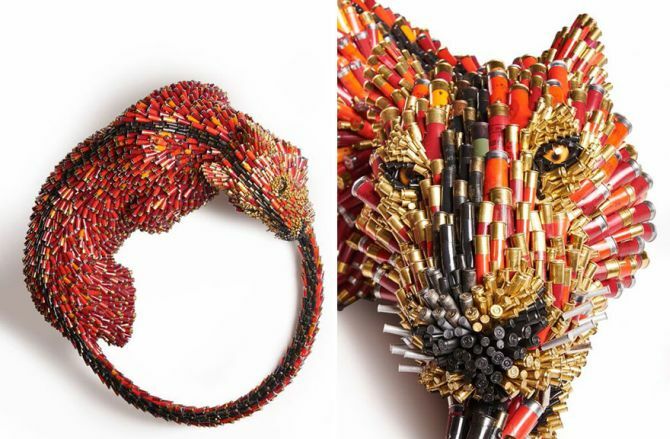 Who knew bullets and wild life can be paired together? 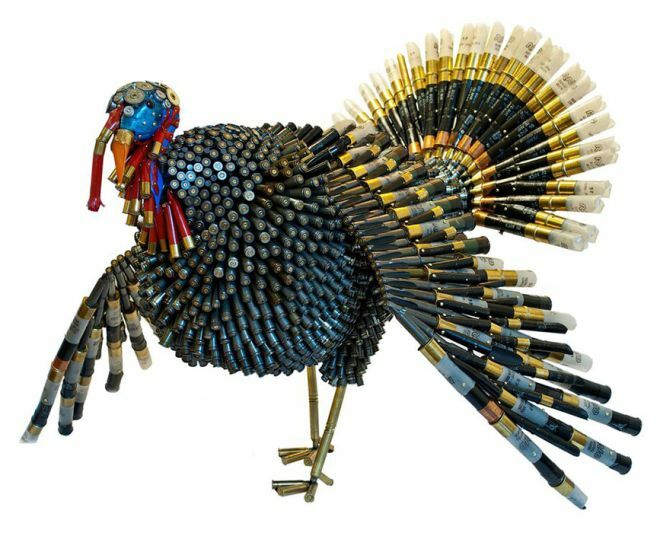 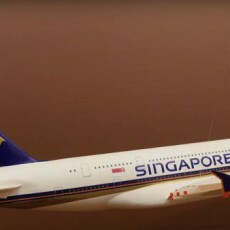 Nevertheless, the astonishing combination of ammunition and wild life is absolutely exotic. 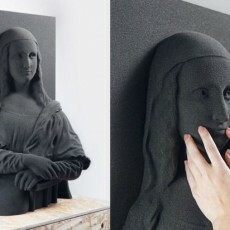 Check out more images given below to have closer glimpse at the We’re at Peace art collection.